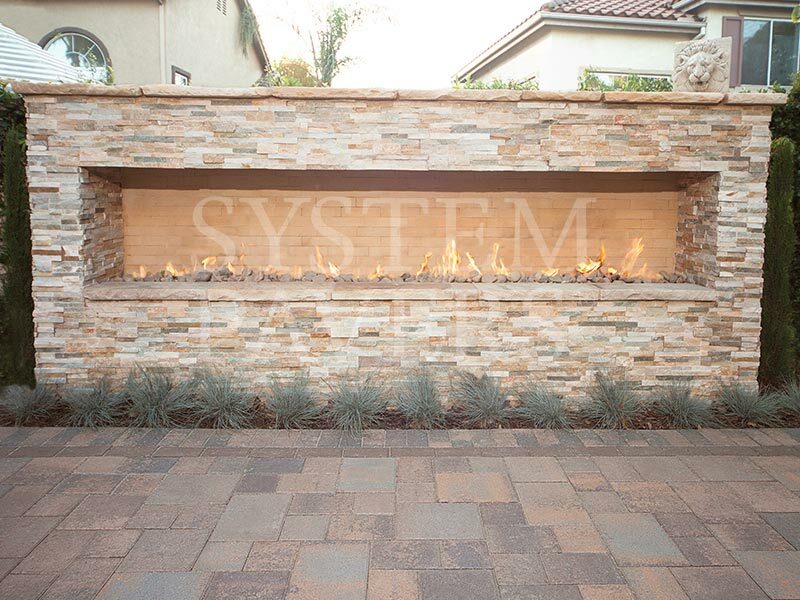 Our natural stone fireplaces reflect the beauty of nature. 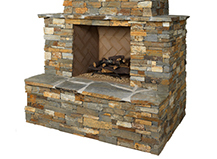 Because each stone is entirely unique, your fireplace will be a one-of-a-kind addition to your outdoor space. 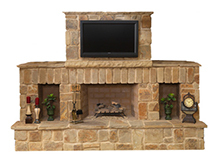 Our Capri fireplaces are crafted from spectacularly beautiful stones that provide a clean and finished appearance. 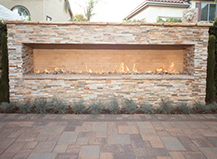 Their bright, consistent color allows Capri fireplaces to be incorporated into many different designs. 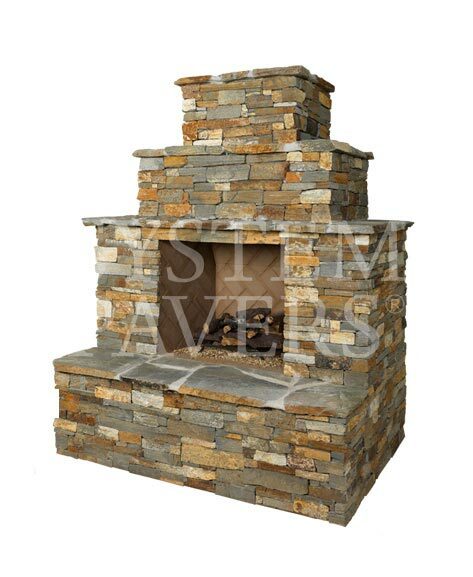 Outdoor stone fireplaces take the comfort of your living room fireplace and move it outside. 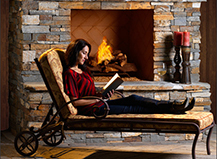 Image enjoying the crisp outdoor air while the fire’s warmth softens the chill and provides the perfect place for you to curl up and relax after a long day. 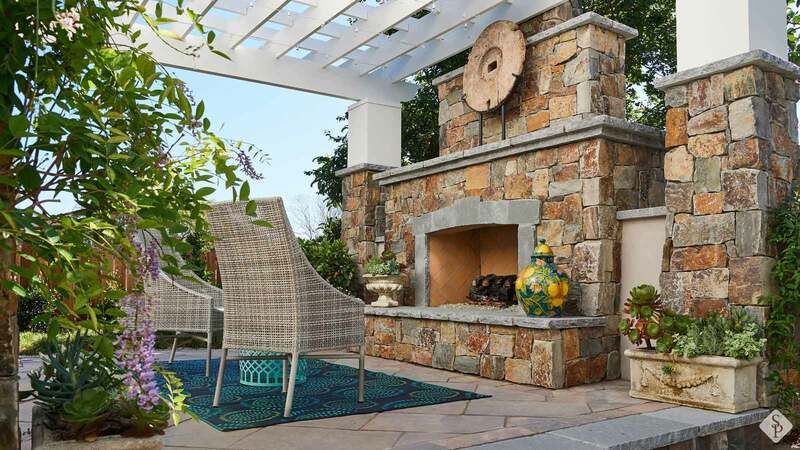 A stone fireplace is an outdoor element that unexpectedly adds interest to your outdoor space and creates a luxurious ambiance that will delight you and your guests. 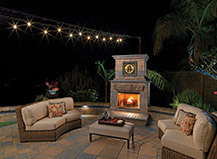 When it comes to any outdoor fire element, safety is a top priority. 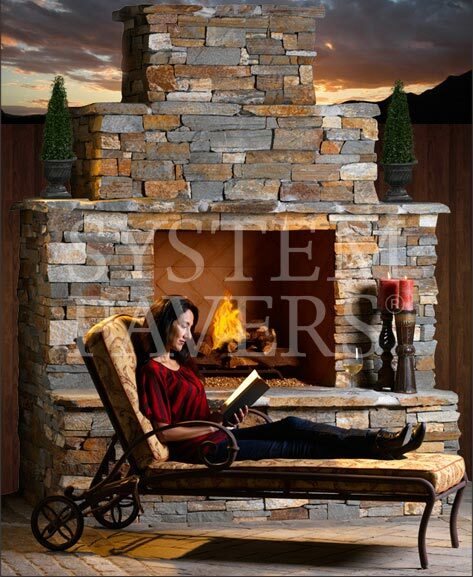 The stone fireplaces we install are carefully designed to prevent potential burning and fire hazards so that you can enjoy your new fireplace without worry. 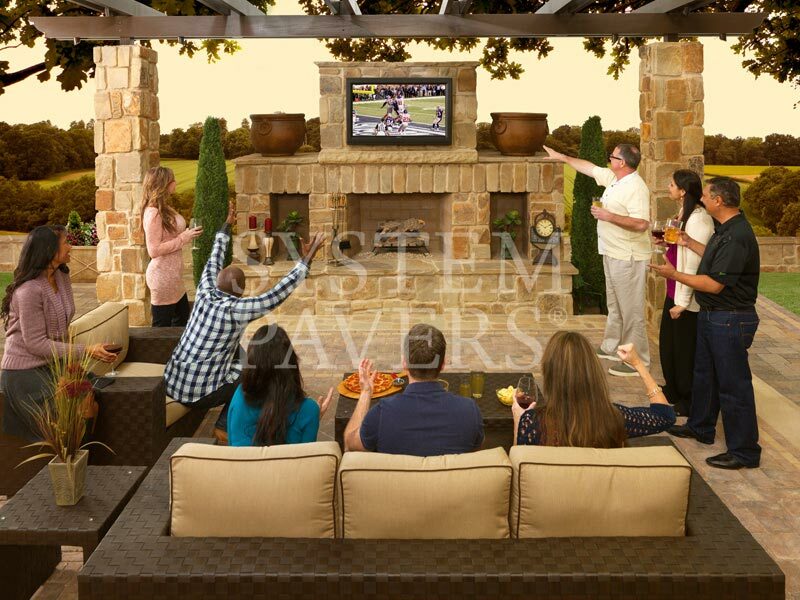 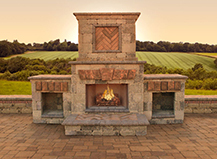 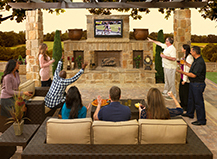 Our elegantly crafted built-in outdoor fireplaces are custom-designed around you. 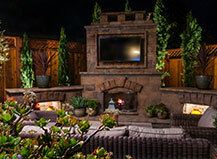 If you’re considering an outdoor fireplace as a part of a complete renovation, we can create a gorgeous outdoor space that encompasses a luxurious outdoor fireplace as well as seating, a media center, an outdoor kitchen, lighting, and so much more. 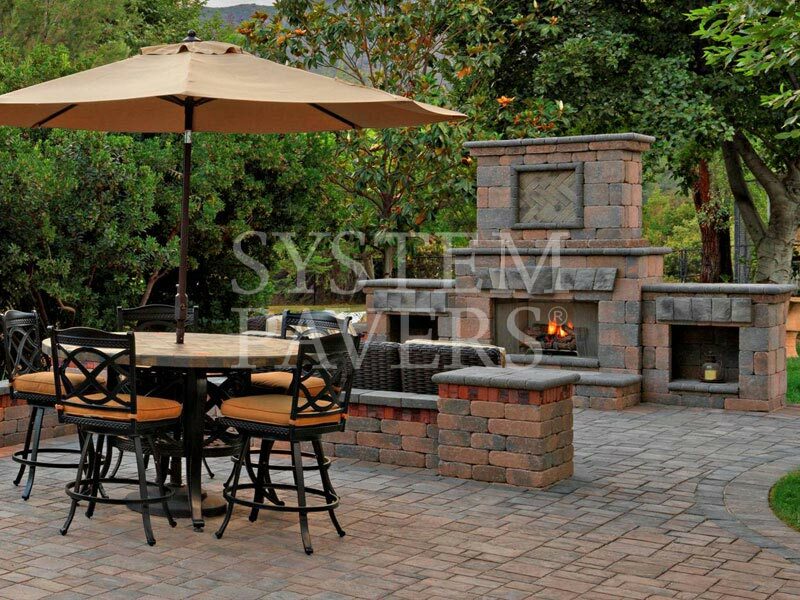 Our outdoor fireplaces are an elegant yet functional enhancement to any yard. 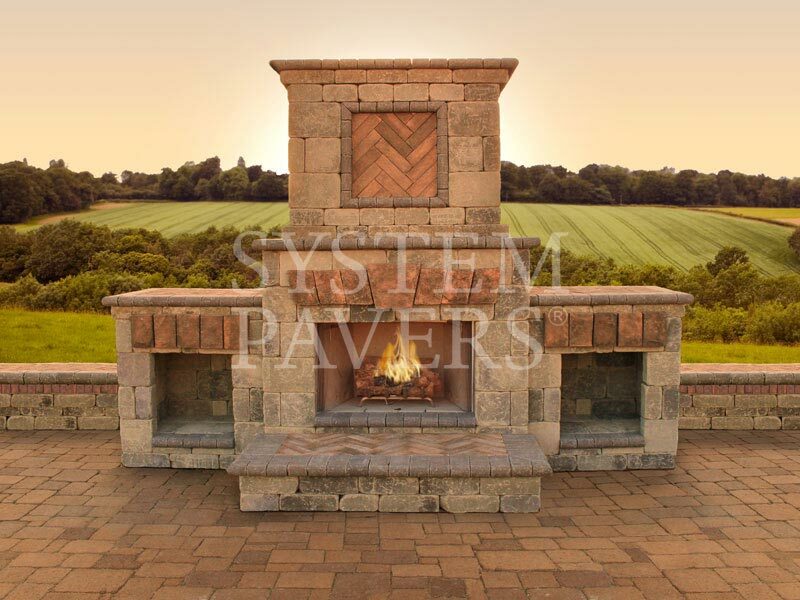 Pull inspiration from some of the fireplaces we have designed for backyards. 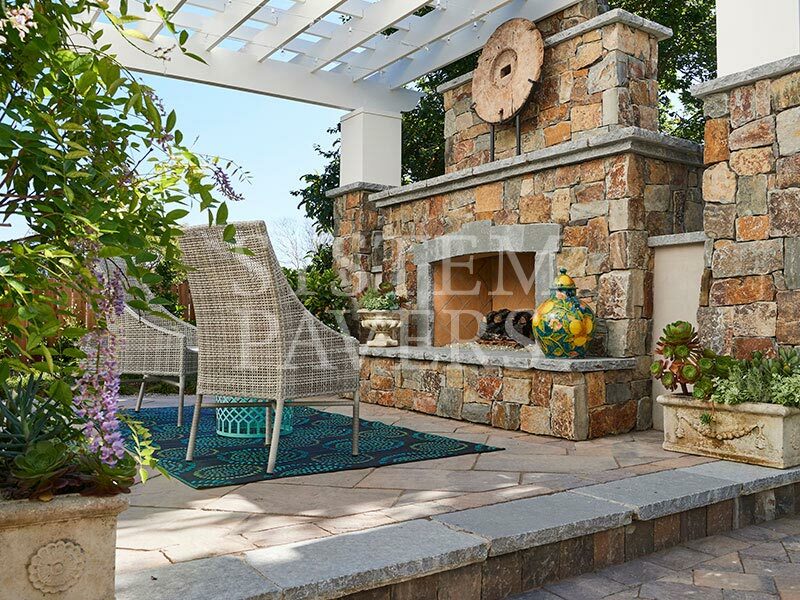 Transform your patio into the perfect place for relaxing and entertaining with a gorgeous, custom-designed outdoor stone fireplace. 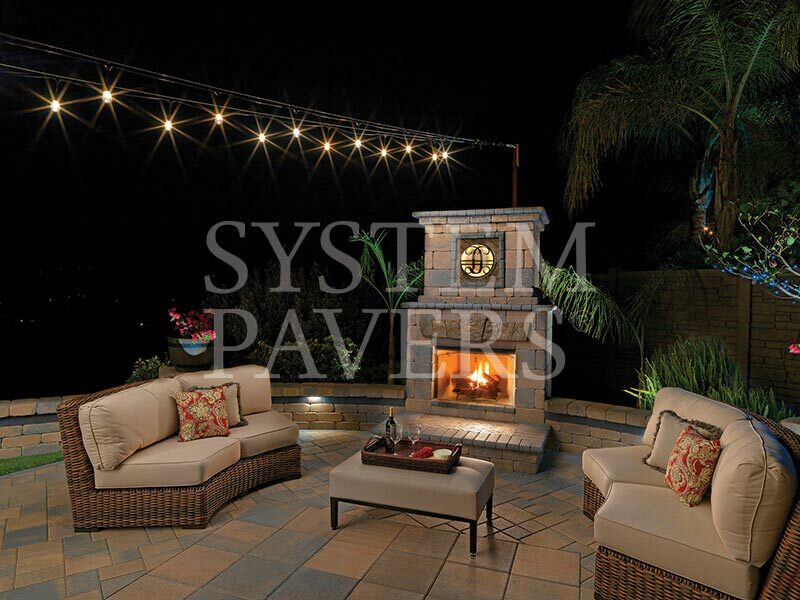 See some of our past designs. 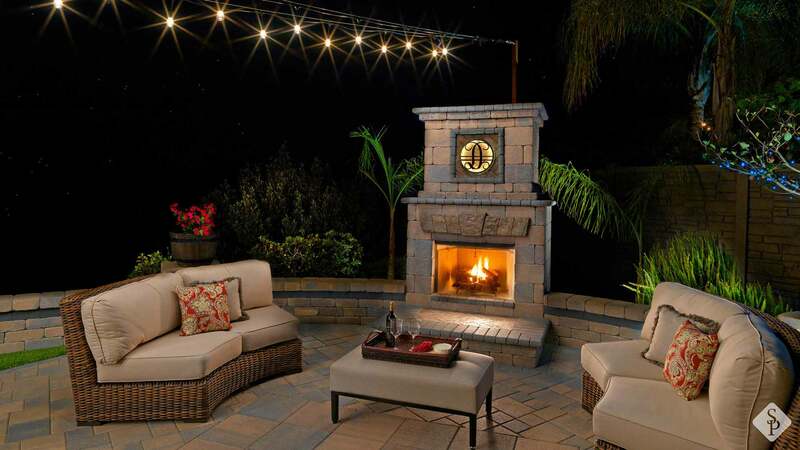 Can you install outdoor fireplaces on uneven surfaces? 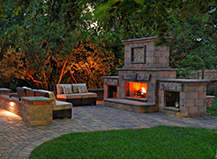 It is best to install an outdoor fireplace on an even, hardened, and noncombustible surface. 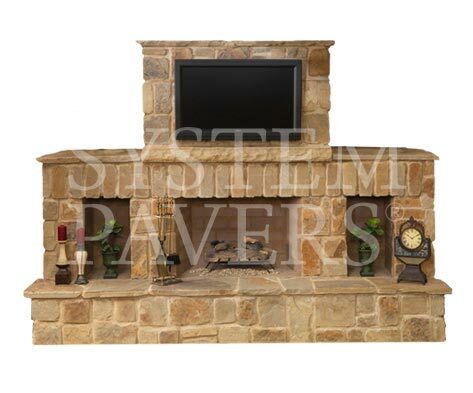 Uneven surfaces can shift and compromise the structure of the fireplace and its foundation. 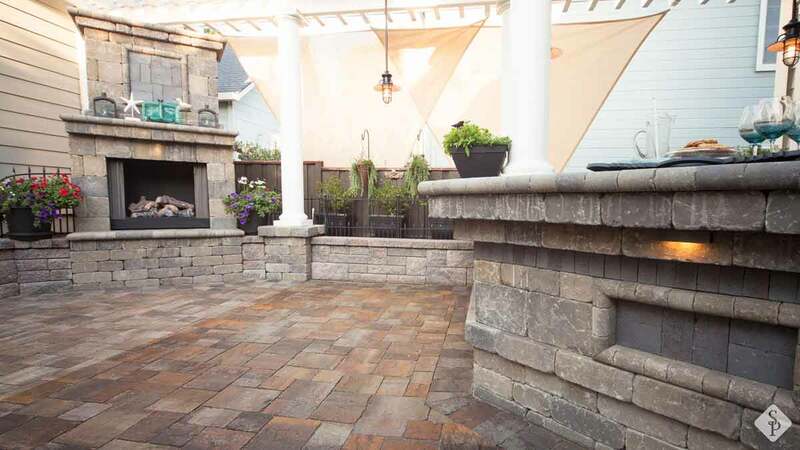 How far away from the house should an outdoor fireplace be? 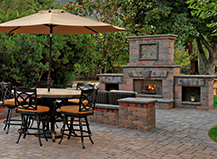 There should be a minimum of 10 to 20 feet between your home and your outdoor fireplace. 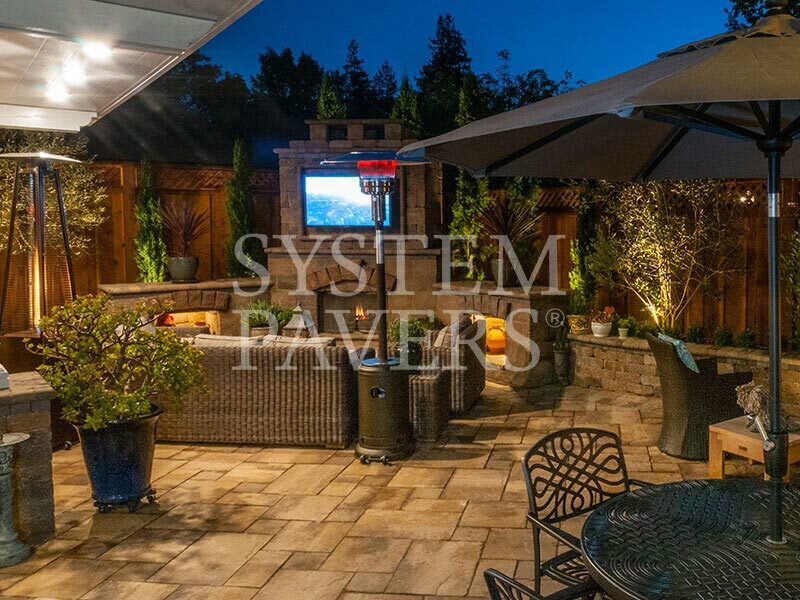 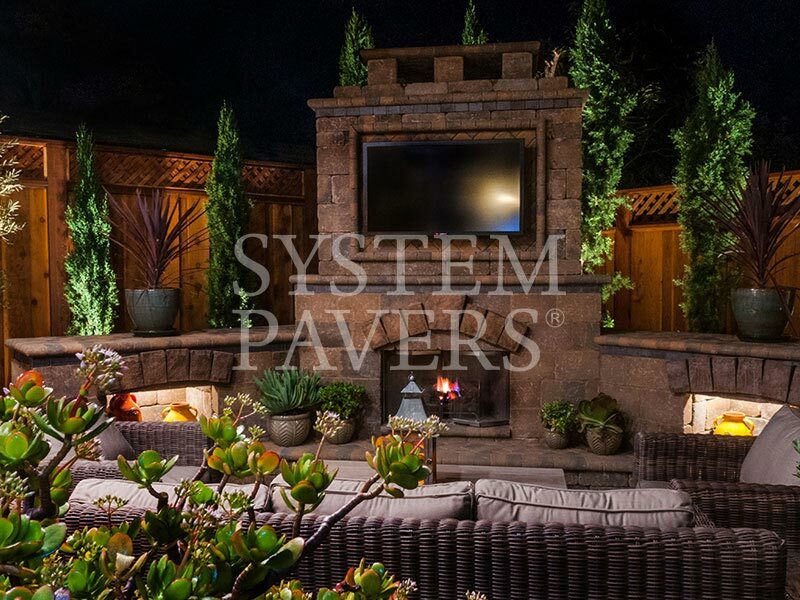 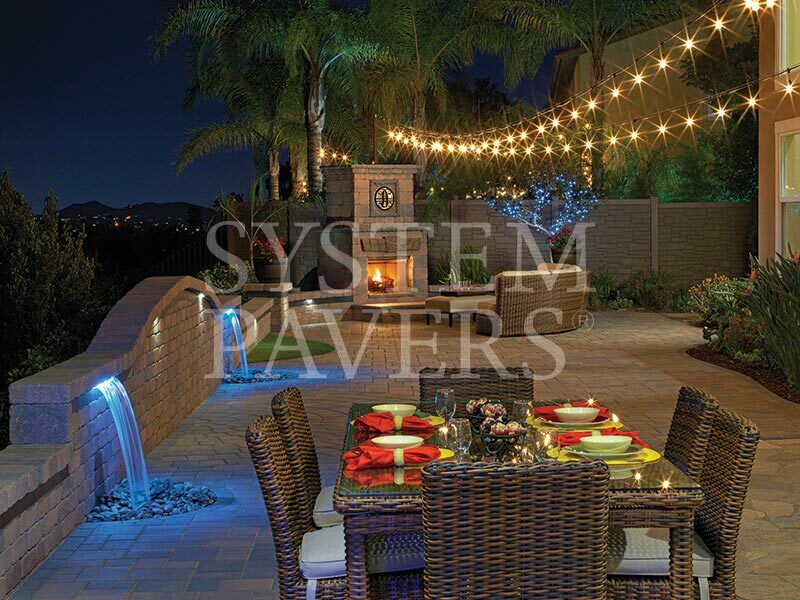 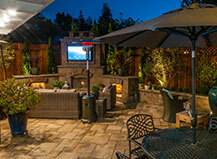 Are outdoor fireplaces built into the hardscape design or free standing? Our outdoor fireplaces are built into the hardscape design. 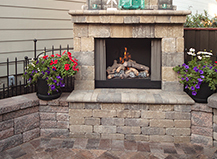 Because a gas line connection is needed, a built-in outdoor fireplace is the safest and longest lasting option. 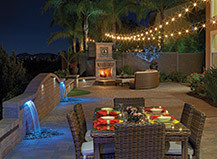 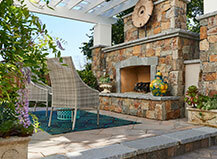 When deciding which outdoor products to include for a remodel, homeowners should truly consider an outdoor fireplace. 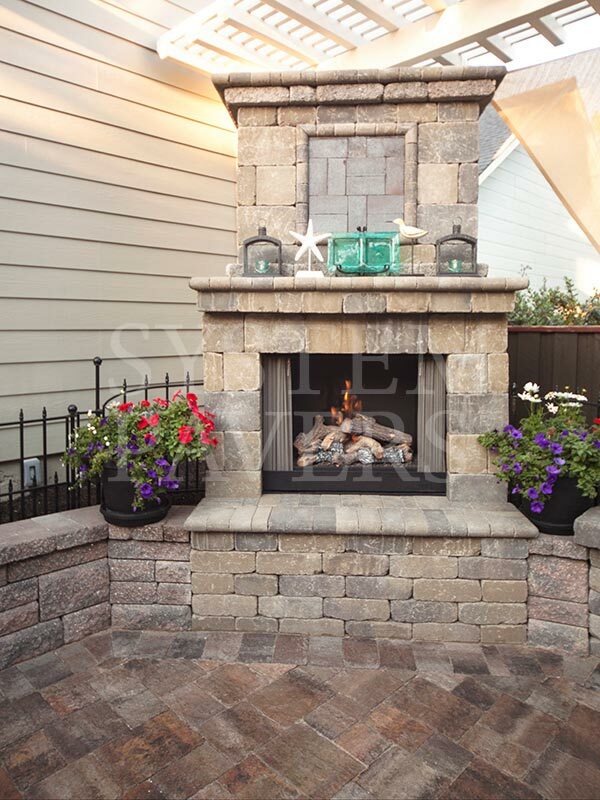 Allow your outdoor living space to shine with the addition of an elegant outdoor fireplace. 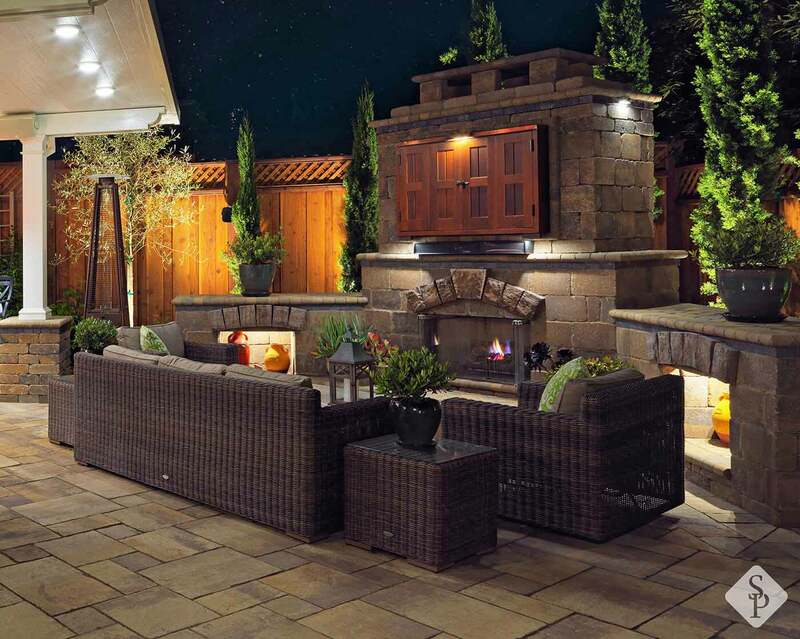 Late fall is the perfect time to make one outdoor addition that will not only provide benefit throughout the winter but also in the summer: An outdoor fireplace.